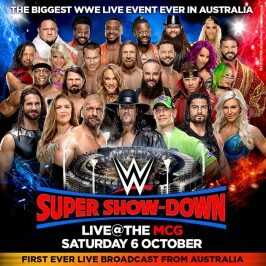 WWE will return to Australia with WWE Super Show-Down, a historic event taking place at the Melbourne Cricket Ground (MCG) on Saturday, October 6, 2018, featuring the largest roster of WWE Superstars and Legends ever to appear in the country. 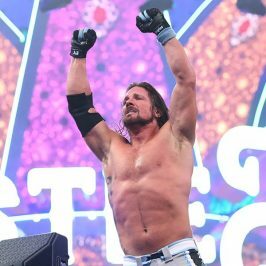 Headlining will be John Cena and Ronda Rousey, while Triple H will face The Undertaker for what WWE says will be the final time ever. 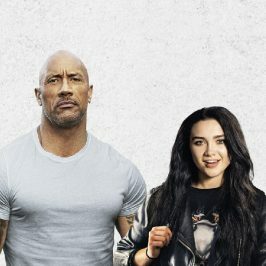 A crowd of over 100,000 is expected at the event, which will also feature Shawn Michaels, The Big Show and Kurt Angle as well as Australian women’s tag team Peyton Royce and Billie Kay. Watch on Main Event Saturday, October 6 from 7pm AEDT – order info here.